If you give a man a fish… he eats for one day. If you teach a man how to fish and… you know the saying! 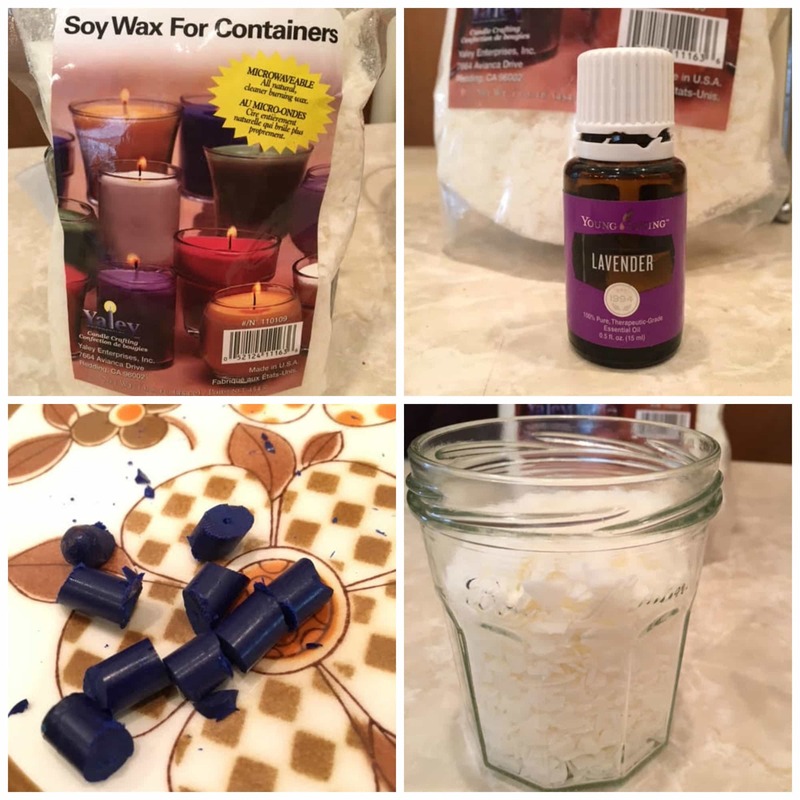 I’m going to teach you how to make your very own candles. WHAT?! So exciting! And believe me, it’s not as hard as you think. 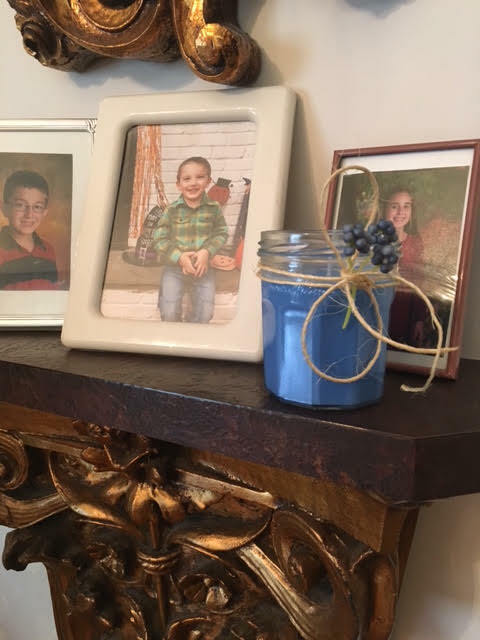 Mason Jar / Re-purposed Jar – I re-purposed an old Jam jar. 1 Crayon – Color of your choice. I used Crayola blue. 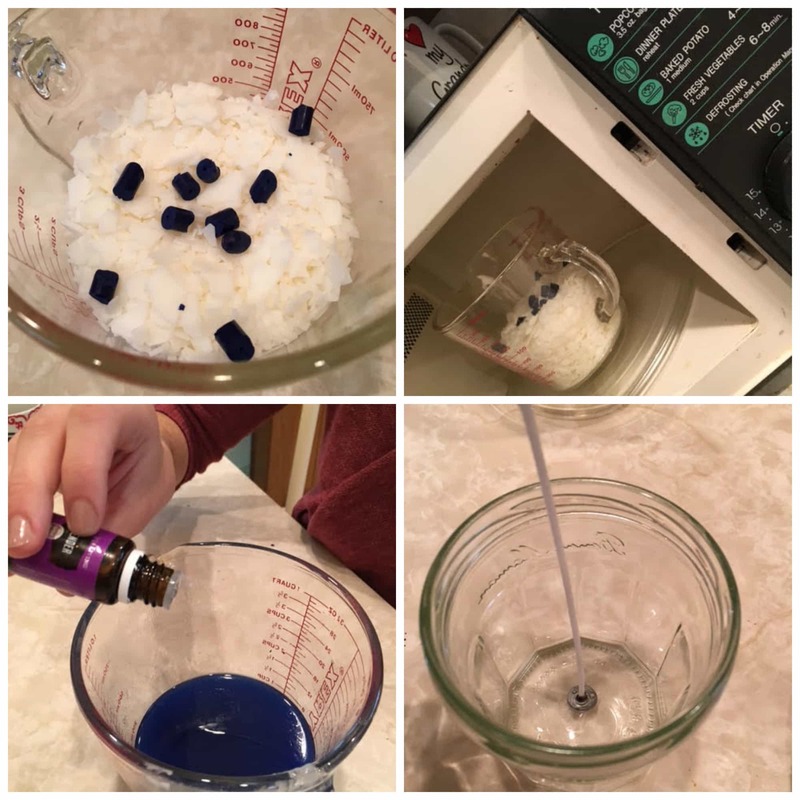 Check on the wax in 1-minute intervals – stirring the wax and the crayons each time. 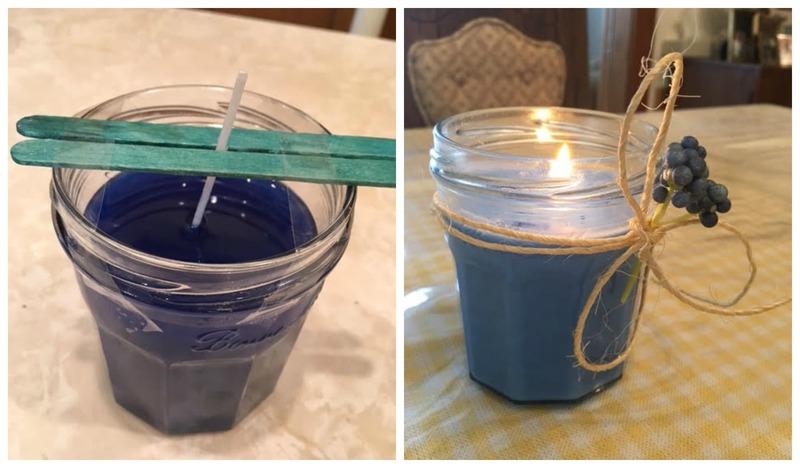 Stir with Popsicle stick. Keep going until the wax is completely liquid and the crayon is completely melted. Takes approx. 3-4 minutes. TA DA! Not that hard, right? 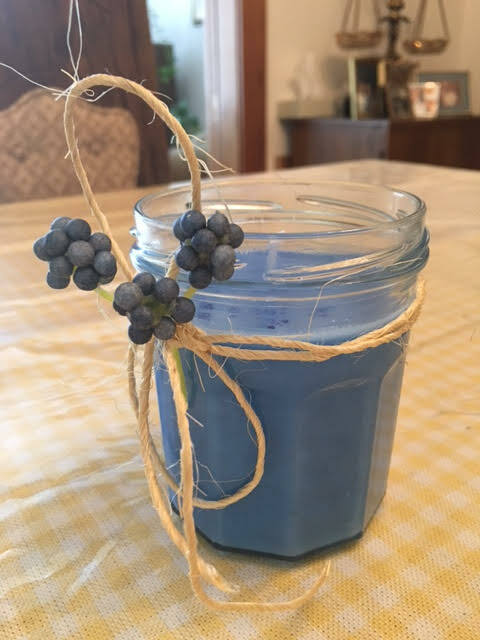 Now you can give out handmade candles at your next family gathering and everyone will fall in love with them.